Setting Up Your Very Own PXE Server! Ever fumbled around your house looking for a Linux CD, but you can’t find it? Ever suspected that your ram was going bad, but you didn’t have a way to test it? Ever needed to backup files on a computer that had a dead and broken operating system? A solution to all these problems is a super cool tool called PXE booting. PXE booting allows you to load alternative operating systems over the network, without the need for cds, cdroms, etc! Sound like something that you could benefit from? 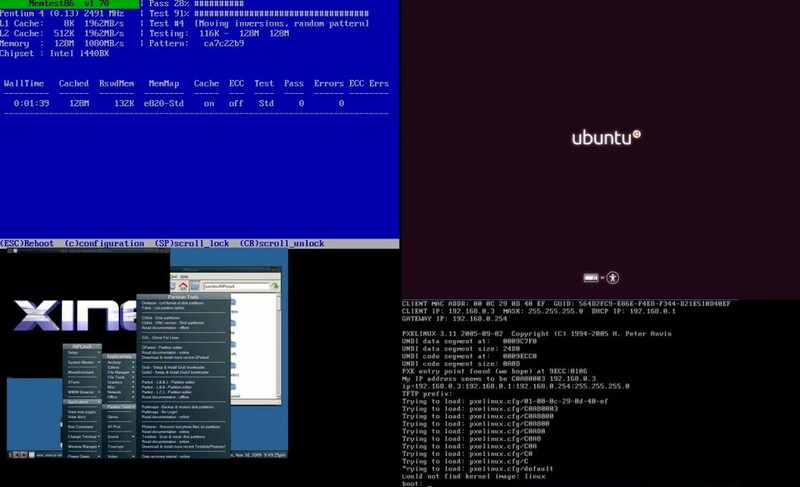 Setting up your own PXE boot environment is easy and Fun! Check out my presentation and then later my wiki page for notes, commands, and configuration snippets to get your own setup going.